My favourite makeup brushes of all time would 100% be Real Techniques. 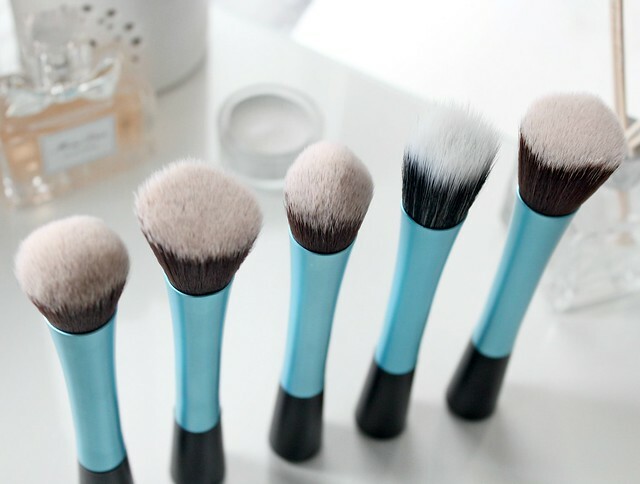 I use them on a daily basis and their 'buffing', 'powder' and 'blush' brushes are all an essential part of my daily makeup routine. With this being said, whilst browsing ebay one night, you can imagine my excitement when I spotted these brushes that look almost idential to my beloved Real Techniques. I was instantly intrigued by them and when I saw I could get a set of five brushes for only £12.99, I was sold. I think that works out around £2.50 per brush so they're considerably cheaper than RT's. Ebay doesn't actually list what each brush is called but as you can see you get five different face/base brushes which can all be used for applying various products including foundation, concealer, powder, bronzer, blush, contour and highlight. There's a stippling brush included in the set which is great for application of cream cheek products, there's a couple in there which are great for applying liquid foundation - one is a similair shape to the RT's 'buffing' brush whilst the other is more dense and compareable to the Sigma F80 brush. There's also a brush similair to the RT's 'contour' brush which I've been using for blending concealer or applying highlight and there's also an angled brush which is great for applying a contour or blush. I haven't really used any of these brushes for powder or bronzer as I personally find my RT's powder and blush brushes more appropriate for this (they're larger and fluffier). They're also available in three colours - Pink, Rose Gold or Blue. The Rose Gold brushes look just like the Real Techniques 'Core Collection' and the Pink brushes look just like their 'Blush' or 'Stippling' brush. As I already have lots of RT's brushes in these colours I decided I'd go for the blue instead - its a beautiful metallic baby blue shade and I absolutely love it. I kind of wish RT's had this colour in their line of brushes as its definitely my favourite. In terms of quality, these brushes are exceptionally soft and lovely to the touch. Much like Real Techniques they're made from synthetic fibres and are cruelty free. My only grumble about them would be they're slightly more dense than RT's so they don't have as much movement for blending products. Don't get me wrong, they're still great brushes and I've been using them on a daily basis but they do require slightly more effort in terms of blending/working the product into the skin than the RT's do. The denseness reminds me of two Sigma brushes I own (particuarly the F80) so if you love those brushes, these are very similar. Overall I'd say this is a lovely little set of brushes and for the price I'd really recommend giving them a go to see what you think. I don't think they're quite as good as RT's but they're definitely a nice addition to my brush collection and for only £12.99, I really can't complain. You can find the set I bought here (the seller is UK based and the brushes arrived in a matter of days) or you can buy these brushes individually if you don't want a whole set from various other sellers including this one here. 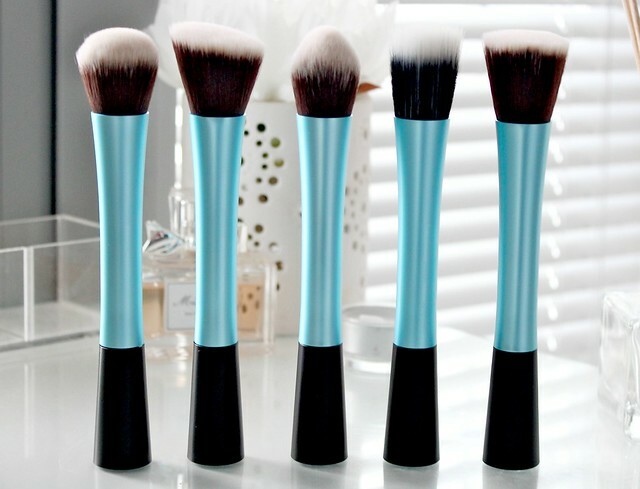 Have you tried these ebay brushes? What do you think of them? If you'd like to advertise on my blog in December, you can find all information about my advertising packages here. I got a RT dupe stippling brush from Ebay too. It cost me around €2,50 and the quality is amazing - it's even my favourite brush to apply foundation. Yours look great, such a pretty colour! These look great! I nice mix of RT and Sigma which is just what I'm looking for. I'll certainly be trying these, thanks for the link and great review! These look like great dupes! I ordered the flat top brush in blue as well and seeing this review has made me so happy, can't wait til it comes! Might as well buy the RT brushes though hehe! Do love a dupe, might have to give these a go! These look fantastic! And I've been meaning to get RT brushes but I might just give these a go first. I actually saw these online and wasn't sure if I should try them. thank you! these look lovely and are so affordable! I love the blue handles! Not sure I'd buy them though because one of the reasons I love RT is because they have the density just right. These sound like they'd be a bit too dense for me. Ive actually been considering buying these brushes just to test them out - however I came to the conclusion it had to be too good to be true ;P But after reading your review I would love to give them I try. Especially when you mentioned they're more dense like Sigma - I love that. I have had these brushes for ages and they have not let me down! You can also buy them sepratly for around £2-£3 if you can't justify buying them all.. They are brilliant quality can't reccomend them enough! Loved this post and so glad I found your blog, Pictures are really stunning! Think for that price I wouldn't really mind if they are not quite as good as RT, plus I love the colour of these (shallow I know!) I really need to get into Ebay shopping! I bought the same ones on Amazon(US) but they had an 8 piece set (4 face brushes like yours + 4 eye brushes) and with shipping and everything I paid under $18. I bought the black ones w/ gold accent on the handles! Can't wait to try them out! Thank you! & I believe the brand I ordered was called Docooler Professional, does that sound familiar? These remind of the Sigma brushes! They sound fabulous and worth a try, for someone like me whose in desperate need of more brushes! Will be buying these soon, I hope - thanks for sharing! These sound lovely, I probably wouldn't use them for liquid products is they don't move as well but they sound like they'd work well for contouring, I lost my RT contour brush :( Love the look of the middle one and the end left one! Nothing could take me away from my Real Techniques brushes, but these do look lovely. 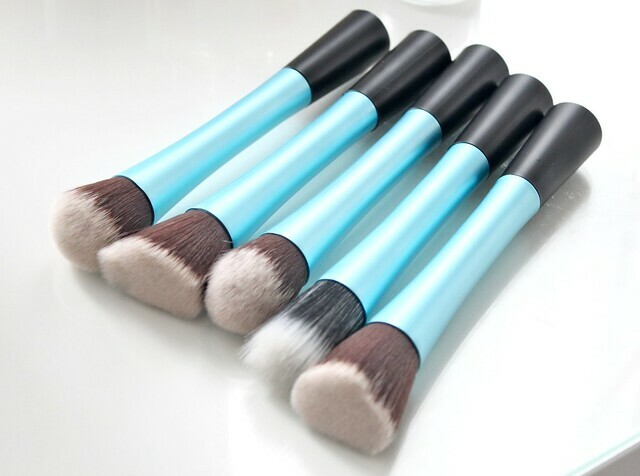 I love the baby blue colour but i dont think Im ready to give up my real techniques collection just yet but perhaps these would be good for my make up bag - i always worry about losing my good products. They look almost identical to Real Techniques - ahhh-mazing! 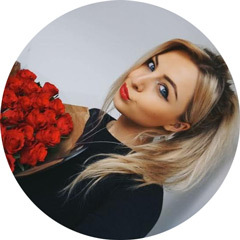 They look and sound like really good dupes! I'm really tempted to get them! These look great and I love the colour! I need to try these out, as I absolutely love my real techniques brushes, thank you for finding these!! I think I might get some of these brushes!